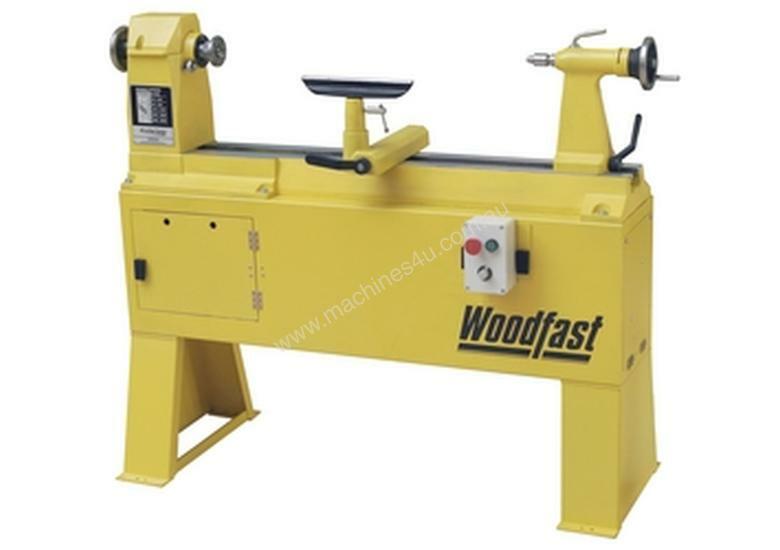 Woodfast M910 lathe is a serious contender for serious woodturning. The lathe comes complete as you see it with the stand. Heavy Duty vibration absorbing cast iron construction. 4 large QUATRO design headstock bearings. Heavy duty steel cabinet stand. Portable switch controlsfor operator comfort. Spindle lock for easy removal of chucks and faceplates.